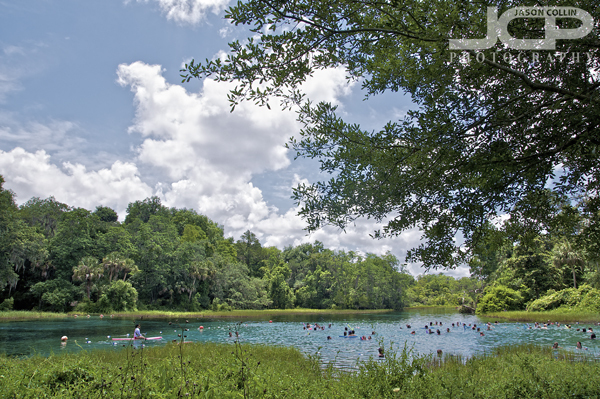 Rainbow Springs swimming hole - Nikon D300 Tamron 17-50mm f/2.8 @ f/11 ISO 200 1/125thI often think how in the hell did people live in Florida before air conditioning was invented? 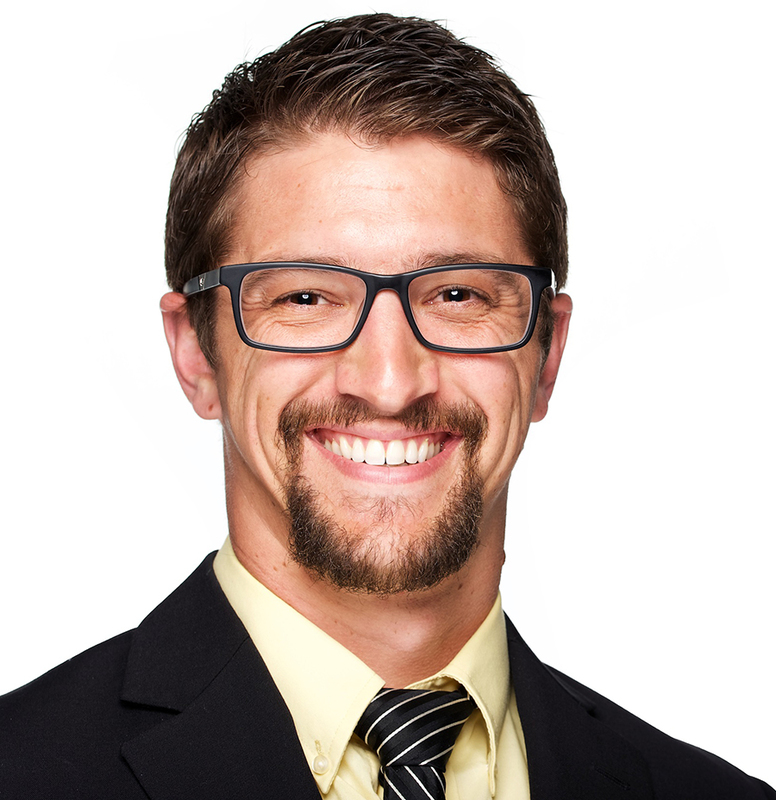 I have settled on the answer that never having known air conditioning, people did not know what they were missing and therefore intense heat and humidity was just the way Florida life was. 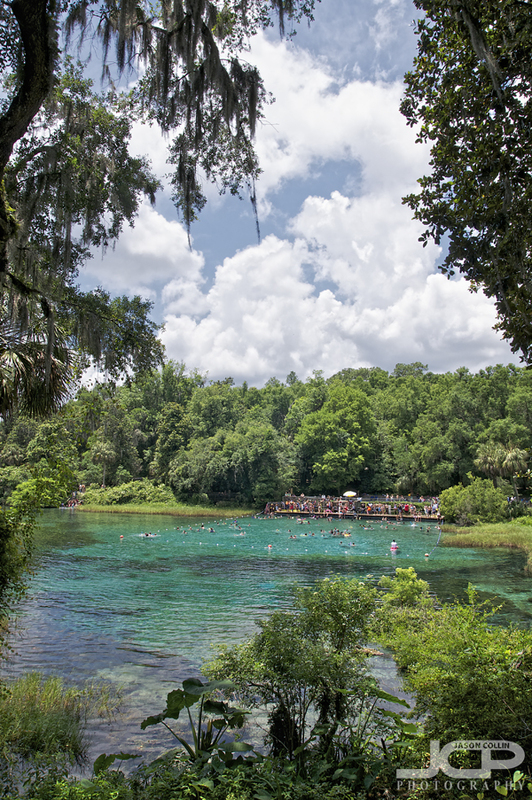 No doubt though a dip in a watering hole such as Rainbow Springs in Dunnellon, Florida would be refreshing in any century. The spring is always gushing out fresh water at 72F degrees. I cannot state how refreshing it is to take the plunge (have to jump in as water is deep everywhere) and escape the intense heat of the day. 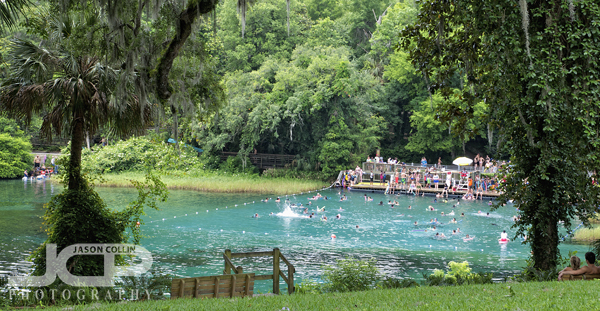 We went on Memorial Day, which has to be one of the busiest days of the year for Rainbow Springs, but it never felt too crowded with enough space to swim and to picnic on the grass. The area is very little developed, preserving the feel of swimming at the source of a river deep in a forest. Canoe the Rainbow River - Nikon D300 Tamron 17-50mm f/2.8 @ f/11 ISO 200 1/200th -0.67 +/-Kayak and canoe rental services are available right next to the swimming hole. We rented kayaks, which was no simple affair! 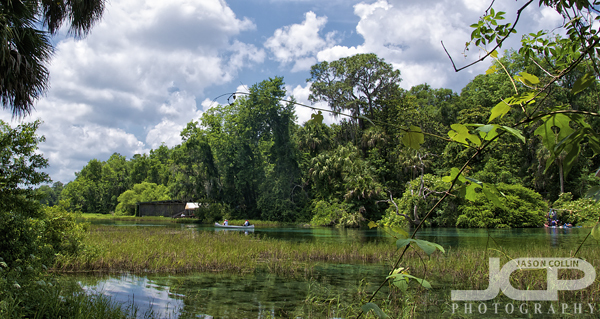 It is quite relaxing to lazily paddle downstream in the clear water hoping to spot a manatee or two. Warning though, there are some beautiful homes along the river and you will find yourself really wishing you had one of them as at least your vacation home, if not wanting to give up city life altogether for the extreme peace of country riverfront life. 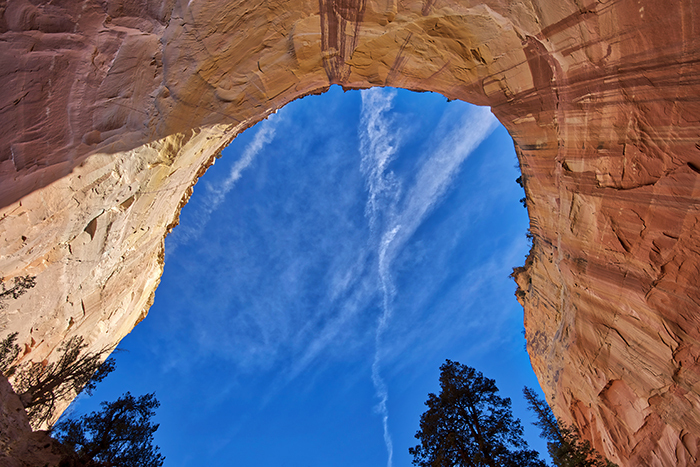 view from the top - Nikon D300 Tamron 17-50mm f/2.8 @ f/11 ISO 200 1/30th There is much adventure on land as well too. There are waterfalls, hills, gardens and even haikyo zoos! The latter discovery was an exciting cap on what had already been a great day.